Arminia Patrick, of Claypool, went home to be with the Lord at 2:20 p.m. on Friday, Dec. 7, 2018, at Parkview Whitley Hospital in Columbia City at the age of 86. 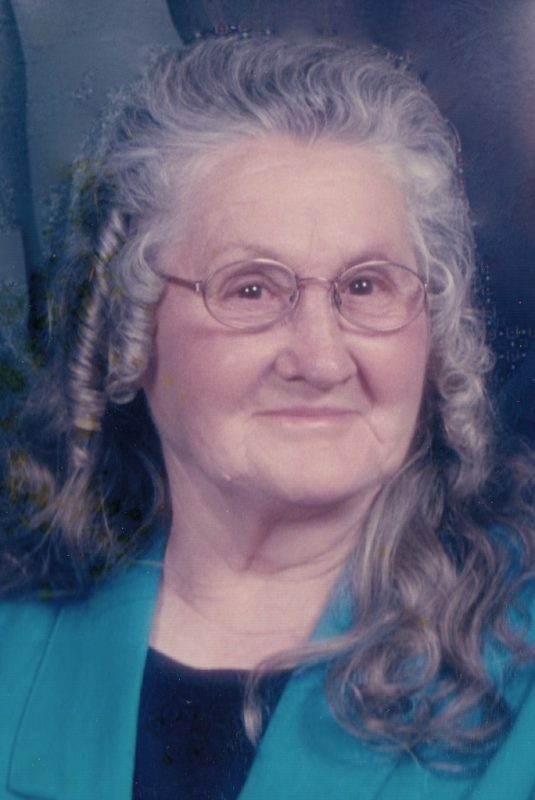 She was born on January 19, 1932, in Floyd County, Kentucky to Emery Leroy Williams and Lillie (Hall) Williams. On Dec. 23, 1950, she was married to Jack Patrick. he shared 58 years of marriage before he passed away on January 18, 2009. Patrick was a lifetime homemaker and member of New Beginnings Church and World Outreach in Warsaw. She will be remembered as a loving mother, grandmother and great-grandmother and will be dearly missed by all. She will be lovingly remembered by her seven sons Dannie Patrick, Leesburg; Ronnie (wife Janet) Patrick, Claypool; Larry Joe (wife Rhonda) Patrick, Warsaw; Jimmy Ray (wife Edwina) Patrick, Tennessee; Billy (wife Susan) Patrick, Akron; Steven (wife Lorrie) Patrick, Florida; Morris (wife Deadra) Patrick, Sidney; daughter Virginia Kay (husband Jessie) Rivera, Warsaw; 28 grandchildren, 40 great-grandchildren and numerous great-great-grandchildren. She was preceded in death by her parents, husband, and one granddaughter. Her funeral service will be conducted at 10 a.m. on Tuesday, Dec. 11, at Redpath-Fruth Funeral Home and officiated by her son, Pastor Ronnie Patrick. Burial will follow with a graveside service at Hillcrest Cemetery in Pierceton.